Old Spice: Gambit Gets a New Codename from Deadpool in Mr. and Mrs. X #2? 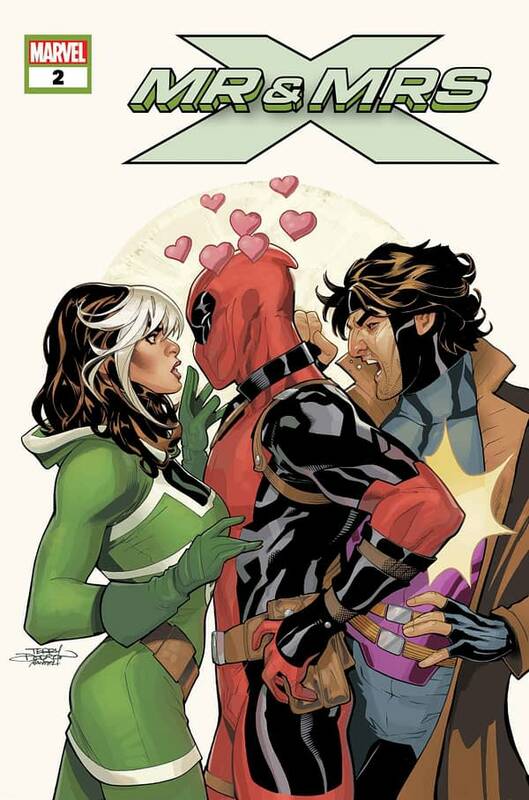 Home » Comics » Old Spice: Gambit Gets a New Codename from Deadpool in Mr. and Mrs. X #2? Incoming Uncanny X-Men writer Kelly Thompson took to Twitter late Monday night to share a panel from Mr. and Mrs. X #2, in stores a week from Wednesday on August 22. The panel tells us Gambit will reunite with Rogue, who was kidnapped by Deadpool at the end of issue 1. It also reveals that Deadpool will try out a new nickname for Gambit in the issue. Will it stick? Mr. and Mrs. X #2 hits stores on August 22. The pair are currently honeymooning in space after getting married in X-Men Gold, but the Uncanny X-Men teaser art suggests they could be back on Earth before long. Let us know what you think of Gambit’s new nickname, and whether it should become permanent, in the comments.